Getting Your BMW Ready for Spring – and Summer – Driving | Atlantic Autowerks Ltd.
With winter out of the way and relatively clear skies ahead, it's time to get your BMW in shape for spring and summer driving. As most people know, these two seasons can be troublesome, as traffic is generally more common and - frustratingly - the roads are in need of repair. Cracks, fissures and potholes abound, leading even the soundest of vehicles to experience issues. In this post, we're going to look at a few quick, easy fixes that you can implement to reduce your chances of incurring a costly, unexpected repair. Before driving in night conditions, give your headlights, tail lights and brake lights a thorough check. Additionally, make sure that your turn signals are functioning and responsive. Especially with spring's wet roads, ensuring that your brakes are at 100% is essential. You can always test them yourself - including brake fluid! - but we recommend having them checked by a dedicated BMW repair shop. Again, because of wet roads during spring, inspecting the treads of your tires can help prevent costly accidents. While checking treads is best left to a professional, you can perform a few tests yourself to ensure that your tires are properly inflated. With rain already here - and more on the way - replacing worn wiper blades can save you a lot of headaches. While installing replacements is fairly straightforward, the BMW mechanics at Atlantic Autowerks would be happy to help if you're uncomfortable with the process. 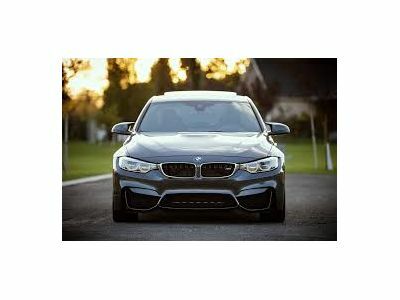 At Atlantic Autowerks, we offer a comprehensive range of services for BMW vehicles. From tire rotation and oil filter replacement to brake flushes and suspension checks, we can provide you with the peace of mind that you need to have a safe, enjoyable spring season. So, if you're looking to get your BMW ready for the spring and summer months, contact us today to schedule your visit!